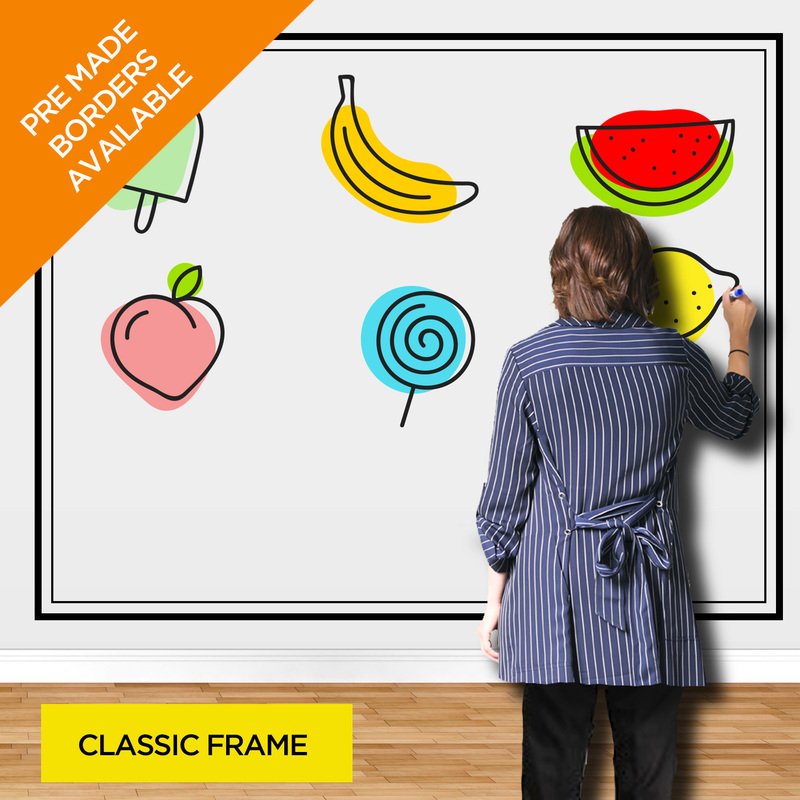 Gone are the days of ordering $400 dry erase boards or going to the store for cheap Masonite that won’t fit in your car. 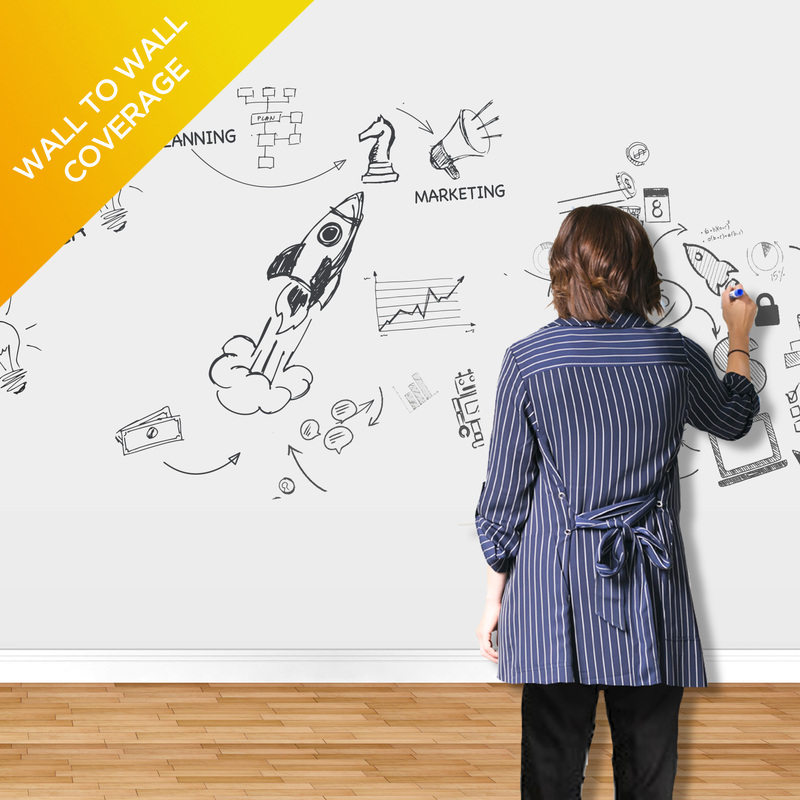 Dry erase film applies directly to your wall. 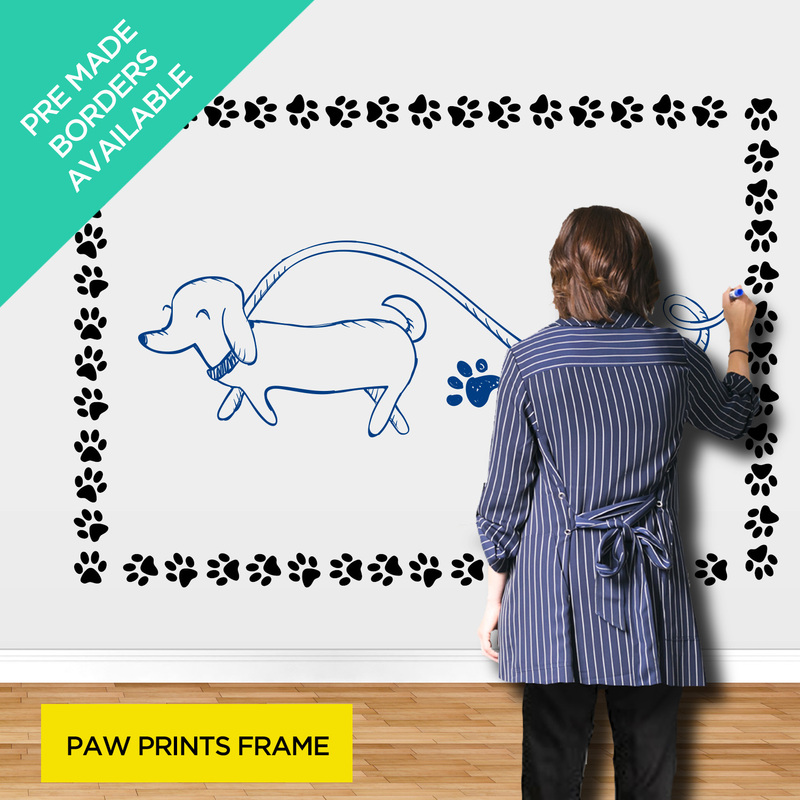 No need for a frame, no need for screws and hangers – just apply it to the wall and write away. Perfect for Brainstorming, note taking, collobrating, & more! Border: Add a decorative border for a little extra style – and to remind people where to stop writing. Gridlines: Add gridlines to keep people on track. No more writing downhill! Dry erase film ships in adhesive sheets along with instructions for self-installation.